Discover Houston- Texas and all it has to offer- whether staying for business- pleasure- or just passing through at the Americas Best Value Inn Houston FM 529. Ideally situated only a few miles from Houston Community College and downtown Houston- our hotel is conveniently located off Texas 290 on Farm to Market 529. We are near local attractions such as Area 21 Laser Tag Arena- Bear Creek Pioneers Park- and Aerodrome Ice Skating Complex. Our property offers many amenities such as barbecue grills- picnic area- guest laundry facility and a safety deposit box at the front desk. Sorry- no pets allowed. Start your work or sightseeing day in fine form with a free cup of coffee or continental breakfast. Whether you are traveling for business or pleasure- stay connected with our free Wi-Fi available throughout the property. Our staff will work with you to ensure your stay with us runs smoothly down to the last detail. Each of our guest rooms feature the ambiance of home luxuries such as free Wi-Fi- microwave- mini-fridge- hairdryer- 46 inch flat panel cable TV- HBO- ESPN- iron- ironing board- desk with lamp- alarm clock radio- and DVD player. 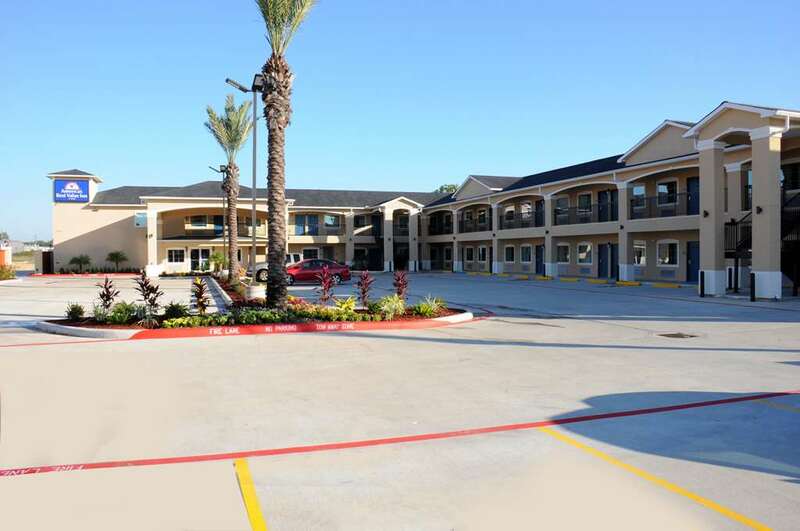 Americas Best Value Inn Houston FM 529 is your best choice within the fourth most populous city in the United States. We offer ideal accommodations and location whether you are in town for entertainment- music and food festivals- sightseeing- wildlife activities or simply passing through on your way to Austin or San Antonio. At Americas Best Value Inn and Suites Houston FM 529 our goal is to provide our guests a great experience- not just a place to stay. At Americas Best Value Inn Houston FM 529- We have Got You Covered from the time you hit the road until your head hits the pillow. Discover Houston- Texas and all it has to offer- whether staying for business- pleasure- or just passing through at the Americas Best Value Inn Houston FM 529. Ideally situated only a few miles from Houston Community College and downtown Houston- our hotel is conveniently located off Texas 290 on Farm to Market 529. Our address is 13438 FM 529- Houston- TX 77041.